* Making friends * "Limited to one"
I thought that this was sooo cute !! teddy is making his own snow friends !! 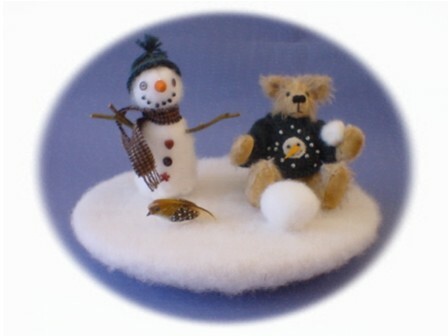 he is only 4 inches high and his snow buddy is 3 1/2 inches high.